Kefir Acai Berry 320ml / Bottle – blended with organic Acai Berry extract which is extremely high in antioxidants, vitamins and essential fatty and amino acids for maintaining good health. Keeps for up to 2 weeks in the fridge. God’s gift or a mysterious provenance? Until today, the origins of kefir grains are shrouded in mystery. Were these grains given to the Orthodox of the Caucasian Mountains by the Prophet Mohammed? Was this the manna that fell into milk as mentioned in the Jewish Torah and the Christian Bible during the exodus of the Israelites? 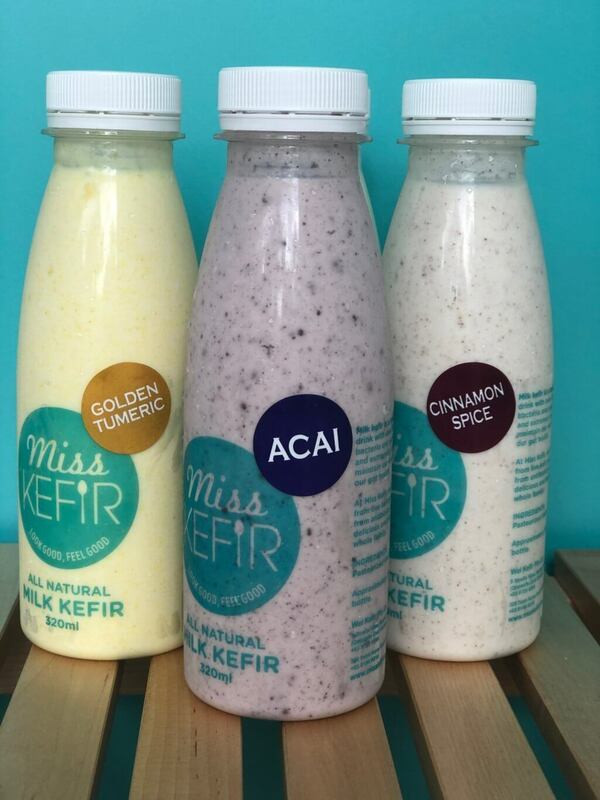 Many legends abound and there is no concrete evidence of Kefir grain’s provenance. However, one thing is for certain, these kefir grains are used today to create a superfood rich in health benefits and healing qualities. A study conducted by Frontiers in Microbiology * states that kefir possesses strong antimicrobial, anti-inflammatory, antioxidant, and anti-tumor properties. 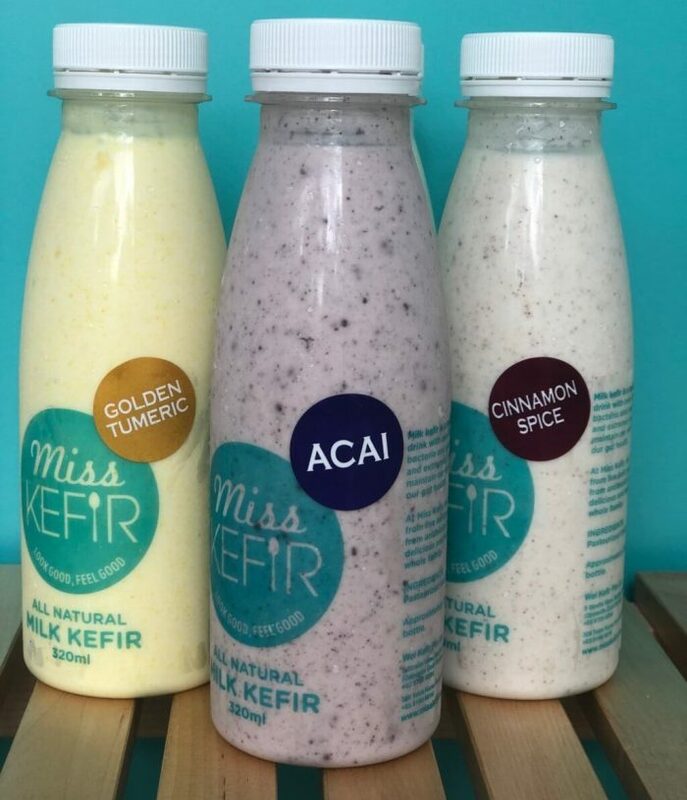 Other research has shown that kefir may also help improve the digestive system in multiple ways, including direct pathogen inhibition and the increased production of healthy bacteria. What is Kefir? Kefir is a cultured, fermented beverage that tastes a great deal like a yogurt drink. It’s made using “starter” grains, just as sourdough bread has a “starter.” This starter is a combination of yeasts, milk proteins, and bacteria. It has a tart, creamy flavor, and it’s loaded with probiotic health benefits. Considered more beneficial than yogurt, Kefir colonizes our digestive tracts with up to 35 beneficial bacteria strains and yeast. Yogurt, on the other hand, and other probiotics only feed the good bacteria. Other benefits include having fewer side effects than other probiotic supplements because it’s a food. Kefir is nutrient-dense, with plenty of protein, B2, B12, D, K, potassium, and calcium. Calcium helps to build strong bones, protein builds strong muscles, and potassium is essential for heart health. Given all these probiotic and healing qualities, we believe kefir is a necessary and essential part for a wholesome and healthy daily diet. Therefore, we are introducing not just one or two, but four different flavors from which to choose and enjoy on a weekly basis. Our partners only use live Kefir grains and ferment for up to 24 hours in order to reach maximum efficacy. Our milk is from Australia with no hormonal or residue and full fat ensuring a delicious consistency in texture and taste. Kindly take note to start using Kefir slowly, quarter glass at a time. Even though the drink is healing, the kefir is potent and needs to be introduced into your diet gradually.